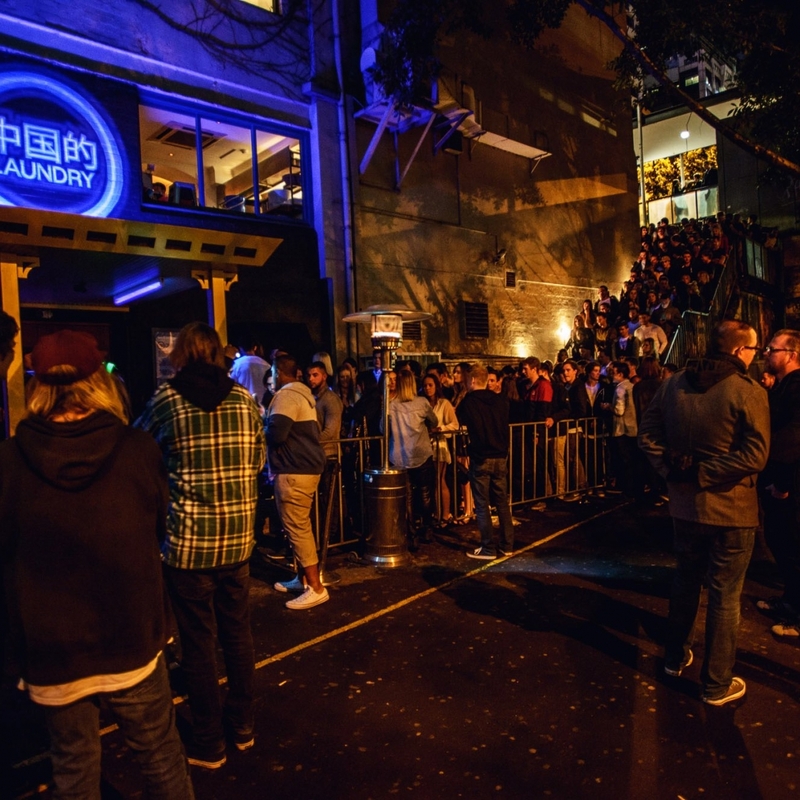 Chinese Laundry is the country's oldest and most renowned underground nightclub serving generations of partygoers. In 2009 the venue was listed 67 in DJ Mag's list of the World’s Top 100 Clubs. Chinese Laundry worked hard to garner this reputation by presenting some of the world's best DJs. Patrons have been known to line up for hours, with queues stretching to King Street Wharf, to see their favourite artists. With celebrity DJs like Sonny Fodera and Nina Kraviz and more, it's not hard to see why. On one occasion, when the venue presented the line-up of Flosstradamus & Lunice, 2500 persons lined up three hours before the club opened to get in through the doors. Chinese Laundry has three rooms and a large outdoor garden. Bass music takes centre stage on Friday, while House rules supreme on Saturday; but the music played across the club's sound system can run the gamut from electro-pop to hip-hop. While Chinese Laundry doesn't have a kitchen of its own, it is located beneath the Slip Inn which has one of the best Mexican restaurants in Sydney. You can reserve tables and eat at El Loco Kitchen up to midnight before heading underground to dance the night away. Chinese Laundry is in the heart of Sydney's CBD and in striking distance of Darling Harbour. There are a plethora of hotels, restaurants and bars within walking distance for an ardent partier to walk (or stumble) into as the night goes on. The venue is operated by events and hospitality powerhouse Merivale which has over 60 sites in Sydney and include restaurants, bars, hotels, nightclubs and convention spaces. If travelling by bus, routes 252 and 261 stop at the King Street Warf King Street. The venue is just a three-minute walk from there. If travelling by train, Town Hall Station is only a nine-minute walk away.